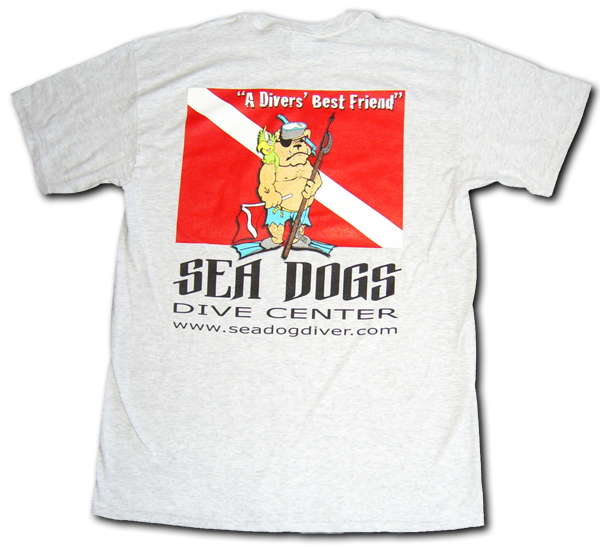 Sea Dogs is a full service PADI Dive Center with over 25 years of experience. We offer a full range of Certifications from beginner to Divemaster. We are also the Spearfishing Specialists! 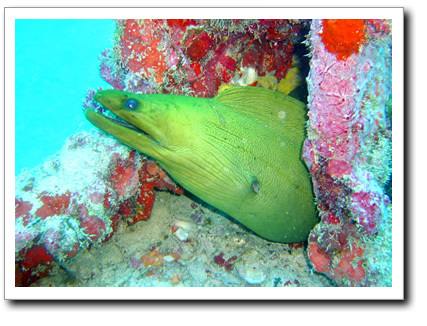 The Daytona/New Smyrna Beach area has over a dozen world famous wrecks and beautiful reefs. This area also has some of the largest lobsters on the East Coast. 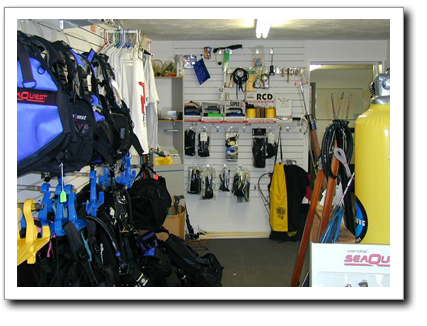 Our dive shop sells top quality dive gear and offers quality rental gear for a great price! The purple majesty known as the Gulf Stream courses through the Florida Straits south of Key West and moves steadily northward along the entire east coast of Florida. Like its color, its pace is majestic, a steady 4 knots. It's a mighty tropical river from 25 to 40 miles in width. 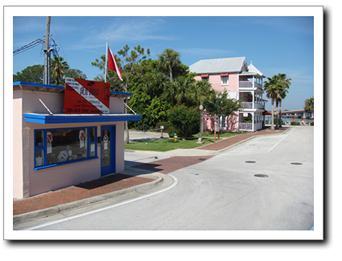 Its temperature varies from a summertime 86° off Key West to 75° off Jacksonville in winter. 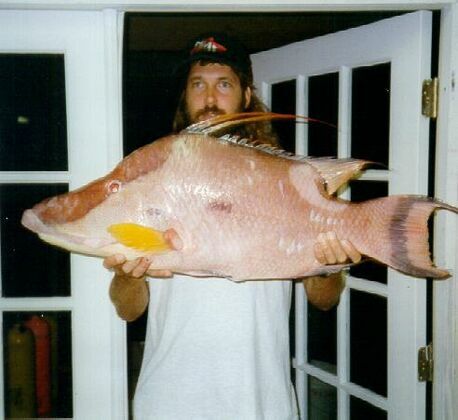 For those who spearfish, many fish, including flounder, grouper, snapper, tarpon, wahoo, triggers, tunas, cobia, dolphin and mackerel, are abundant. For just the "lookers and photographers" sea turtles, angelfish, right whales, manta rays, Goliath groupers and sunfish can often be spotted just offshore. 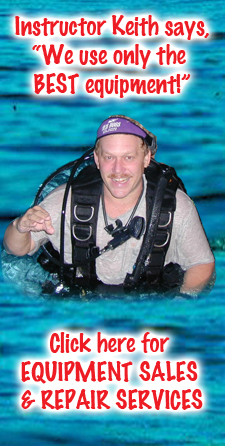 Open Water Diver Classroom portion online ... Click here to get started.